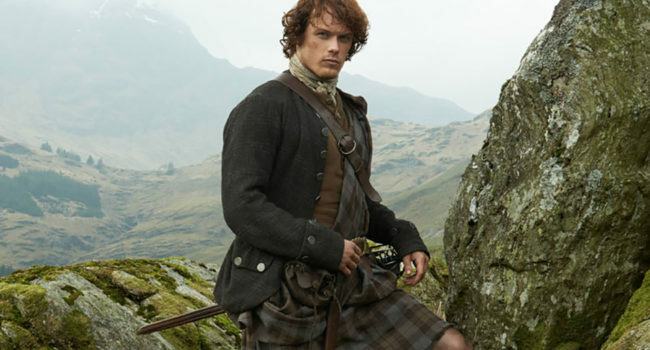 The chivalrous, handsome Scottish Highlander who rescues Claire Randall (Caitriona Balfe) after she falls through a time portal in the Starz TV series Outlander, Jamie Fraser (Sam Heughan) selflessly offers to marry her in order to protect her from the villain Randall. He and Claire fall in love, despite her being from the future and already having a husband. Throughout the series he endures great hardships because of his love for her, yet it never wanes. As a true Scotsman, he wears traditional highland clothing.